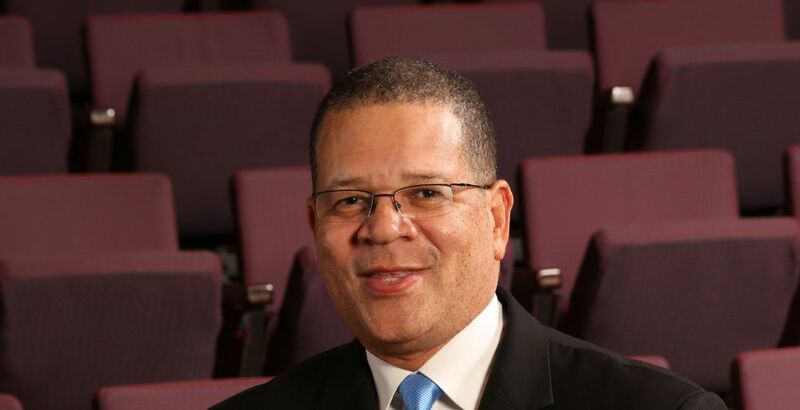 Fulton County Chairman John Eaves explains how he has lived in two worlds. John Eaves believes that King would have been active against the Vietnam War and for a two-state solution if he had survived. I am an oddity: I am both African-American and Jewish. This dual identity has shaped my life and worldview. Even though the African-American community and the Jewish community have had some historical collaborations, such as those during the civil rights movement, these two groups don’t mesh as well as they should. In the past, I have been reluctant to share my story for fear of acceptance, but today I talk openly with confidence and without hesitation. My grandfather, Cecil Reginald Eaves, converted to Judaism after immigrating to America from Jamaica in 1913. He passed his faith to my father, John Henry Eaves Sr., who in turn passed it on to me. I grew up in the South during a period when it was incredibly unusual for a person of color to be Jewish. During my childhood, I was comfortable being a member of a congregation mostly composed of African-Americans, and I felt accepted. Yet at school I was always different from my friends. I didn’t celebrate Christmas, have a tree in my home or put lights outside my house. And I couldn’t go out on dates with my friends on Friday nights because my family observed the Sabbath as the day of rest. My Jewish faith affected me in other ways too. Like many Southerners, I have always loved football. In high school, I was so proud to make the school team as a cornerback, and I practiced every day. My teammates would say, “Eaves! You’re crazy!” because, of course, I could not play on Friday nights. But twice a season there was a Saturday night game, and that made it all worth it. My football-playing days are now long behind me, and I proudly serve our community as the chairman of Fulton County. My desire to give back to the community was instilled by my Jewish faith, which has a call of service to others. Many biblical leaders and prophets were called and accepted the obligation to help and repair the world. As a Jew, I feel that same obligation. These days, I often reflect on my religion and race. In February, I attended a screening of “Keep Quiet” as part of the famed Atlanta Jewish Film Festival. This film is a documentary about an anti-Semitic political leader in Hungary who is shocked to learn that his maternal grandmother is Jewish, making him Jewish as well. As I watched the film, I was once again struck by the horrors of the Holocaust. But, surprisingly, it was not my Jewish identity but my African-American one that connected most deeply to the film. I am part of a racial group that has experienced oppression and discrimination but through it all persevered. I am also part of a religious lineage that has equally experienced oppression and discrimination but through it all persevered. In that movie, I felt the struggles African-Americans have endured throughout our American history. Today, I am a member of The Temple, the location of the 1958 civil rights bombing. Rabbi Jacob Rothschild was an outspoken advocate against bigotry and prejudice, and he and the synagogue developed a partnership and friendship with Dr. Martin Luther King Jr. I am proud of the deliberate steps I see today’s Temple leaders taking to reach out to diverse communities. I, too, reach out to many. My dual identity has inspired me to strive to be the common denominator, the bridge builder between my race and all religions. That is why I started the Interfaith Council within Fulton County. I have embraced a religion that is nontraditional for someone of African descent, and that experience has allowed me to be open-minded and realize there is something good in all faiths. They all acknowledge a superior being and encourage brotherhood and sisterhood. Yes, I am an oddity, but through that rareness, I have learned to take the best of each world and bring them together. I am determined to foster understanding and compassion between unlikely friends and allies. To all my brothers and sisters who struggle with a sense of otherness: Whether it is racial, religious, gender, sexual orientation or otherwise, know that your otherness makes you special. You have something unique to give back to your community. Through sharing our perspectives and working together with common purpose, we can fulfill our obligation to humanity. 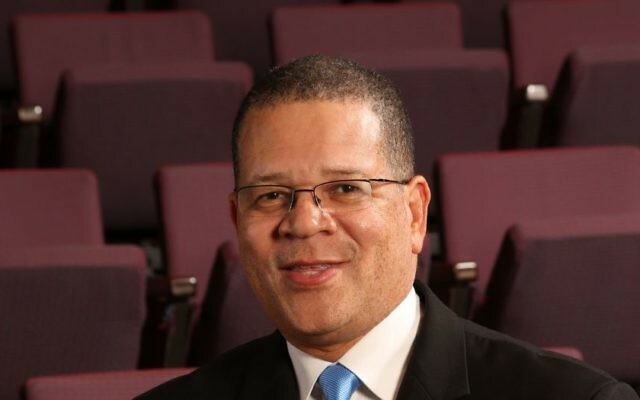 John Eaves is the chairman of the Fulton County Board of Commissioners. He recently announced that he is running for mayor of Atlanta.